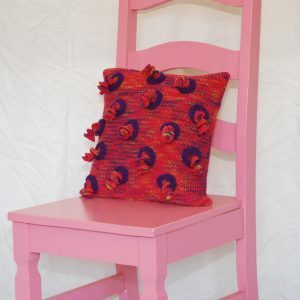 Wool cushion. 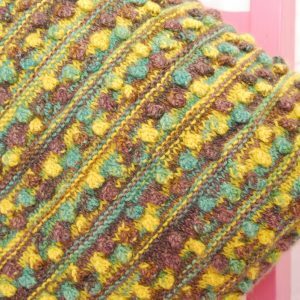 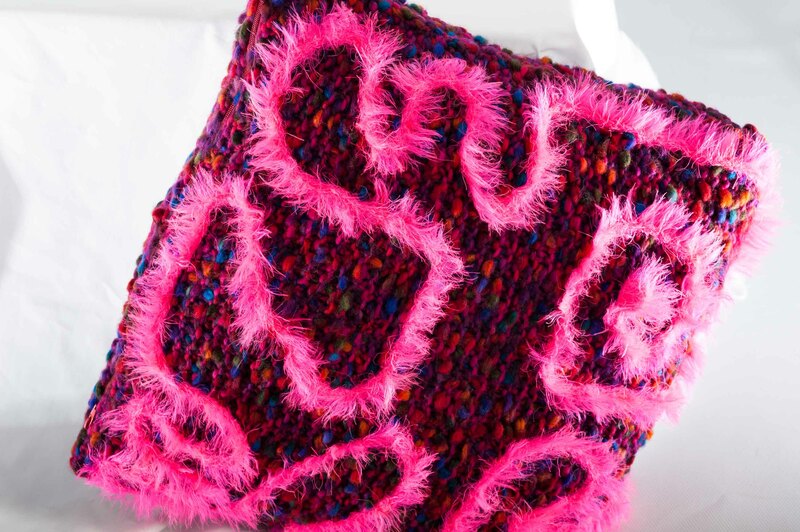 Hand-knitted in Llama wool. 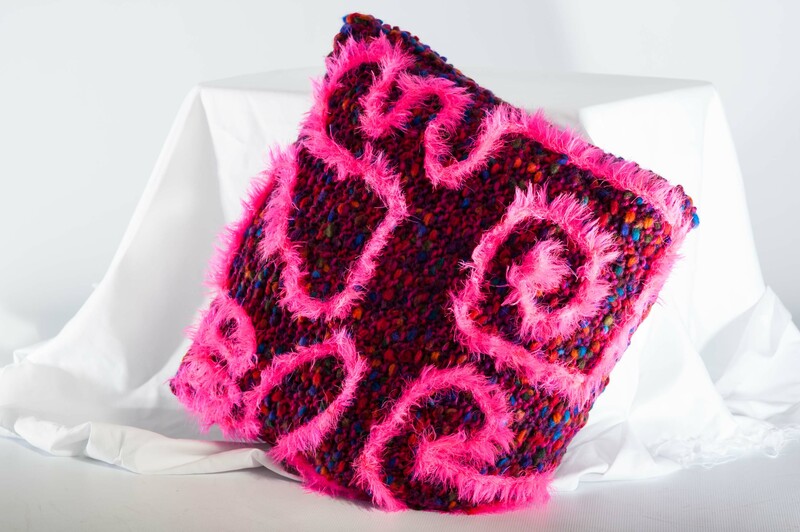 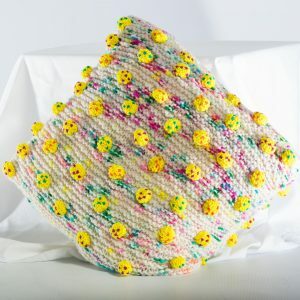 Large hand knitted cushion in 100% wool with a vibrant abstract design on the front in faux fur. 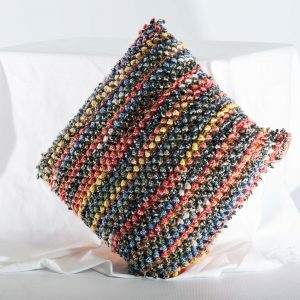 Enclosed with a zip for easy removal of the polyester cushion pad.